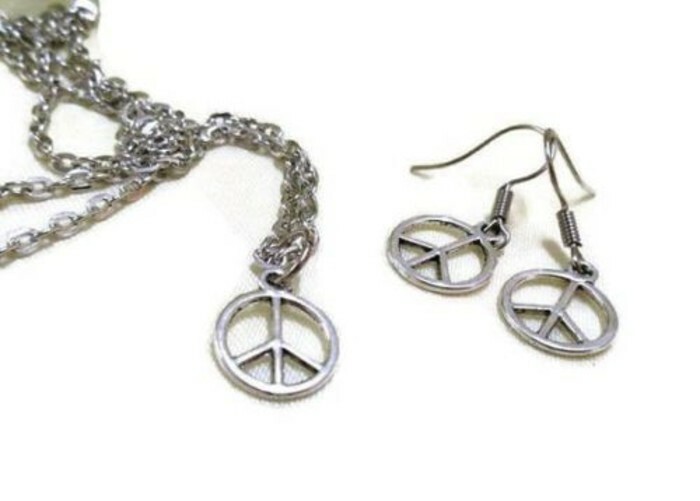 Tiny Silver Peace Necklace and Earrings Set. 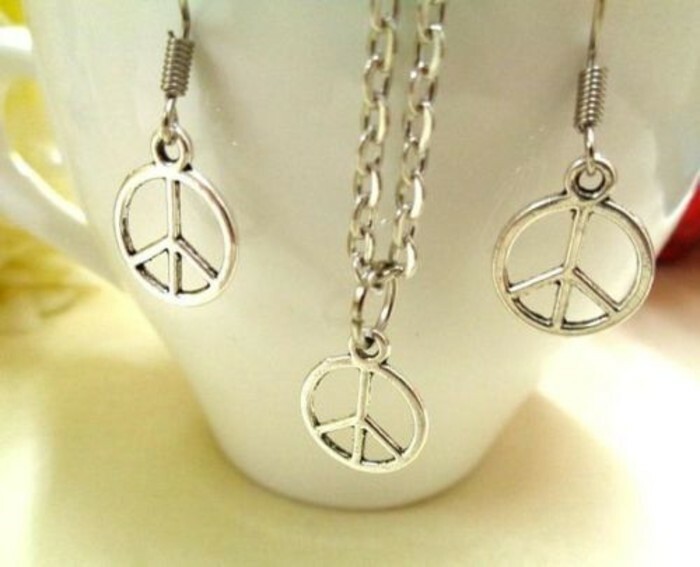 Tiny Silver Peace Charms approx 15mm x 13mm. 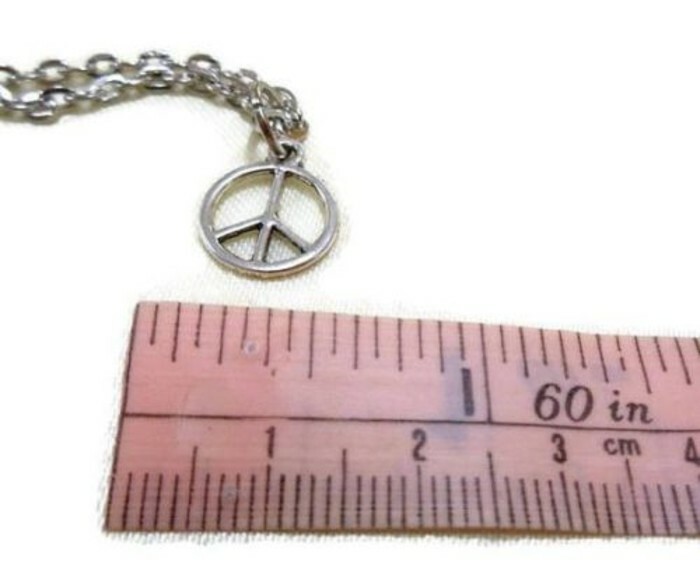 Silver Tone Chain with Lobster Clasp approx 460mm - 18" end to end. Holtom finished his design on February 21, 1958 and the design was then first introduced to the public at a DAC march on April 4. The symbol quickly spread. 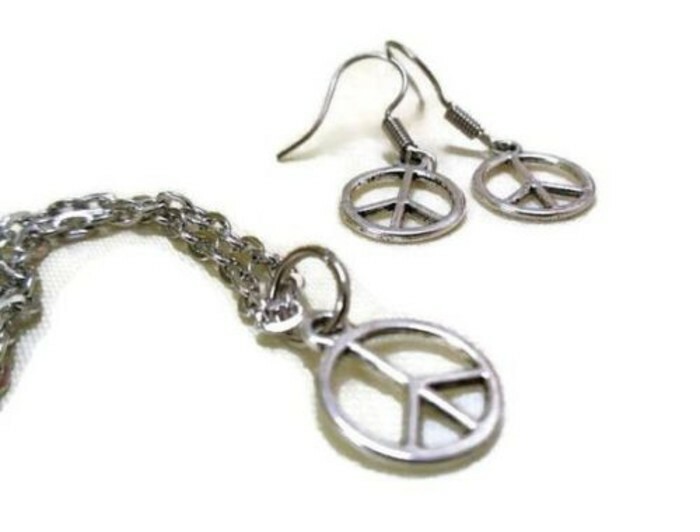 In Britain, the symbol became the emblem for the Campaign for Nuclear Disarmament (CND), thus causing the design to become synonymous with nuclear disarmament. 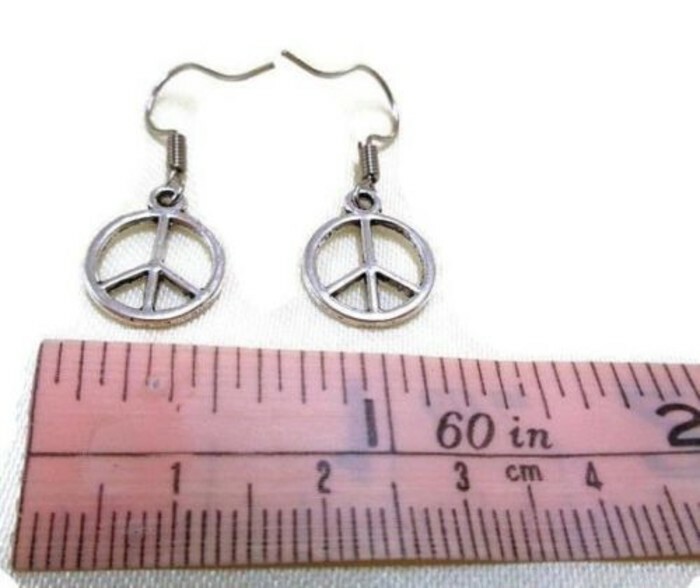 In 1960, the symbol migrated to the United States and began to be used as a symbol for the peace movement. 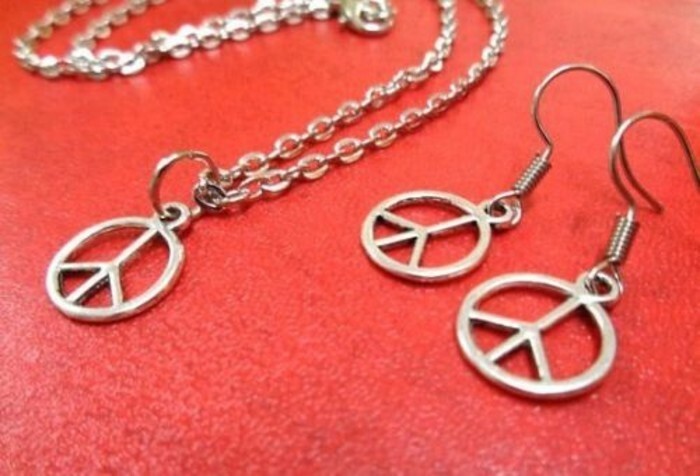 This symbol has become internationally recognized and is still used by peace activists today.